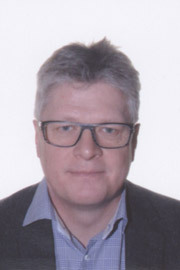 Bent Simonsen, Vice President and CFO in Det danske Hedeselskab and Dalgasgroup A/S, CFO in Det danske Hedeselskab and Dalgasgroup A/S from 2001 to 2010, Director in RAR Regnskabscenter from 1999 to 2001, CFO in Vestjyske Slagterier from 1997 to 1999, CFO in Entreprenørfirmaet Hans Jørgensen & Søn A/S from 1987 to 1997. Kasper Bloch Gevaldig, Co-founder/CEO of AllUnite.com. Kasper is a serial entrepreneur within cloud based IT-solutions. After finishing his education as Officer of the Reserve in the Armed Services as a First Lieutenant, Kasper earned his MSc in Political Science from Copenhagen University. Next stop was the TDC subsidiary DanNet (later MACH), where Kasper gained his first experience within the telecommunications industry. As International Business Developer, he designed MACH’s presence in the Middle East, for which he was widely recognized as a talented entrepreneur. 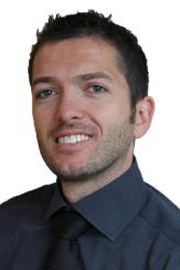 Presently, Kasper is CEO at AllUnite, an it-company developing and distributing mobile advertising software. Kasper’s management style is founded in his passion for building an efficient concept for customers, developed with scalability by the best team.